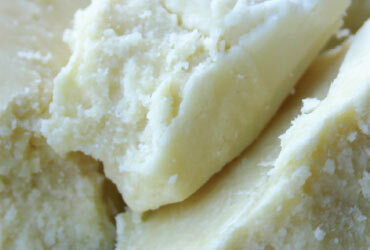 Organic vegetable butter is obtained by blending the nutritive natural fatty fractions of an organic vegetable oil. Depending on the butter, the fractions come directly from either the organic oil, hydrogenated oil or the unsaponifiable fraction. Vegetable butters are solid at room temperature. The percentage of the unsaponifiable fraction of a vegetable oil is usually very low. It requires a large quantity of processed oil to yield a significant quantity of butter.